MADRID — Mariano Rajoy’s time as Spain’s prime minister is almost certainly over after the opposition Socialists secured parliamentary backing to oust the conservative leader. A majority of Spanish lawmakers on Thursday said they would back Socialist leader Pedro Sánchez’s motion of no confidence in the PM in a vote on Friday. 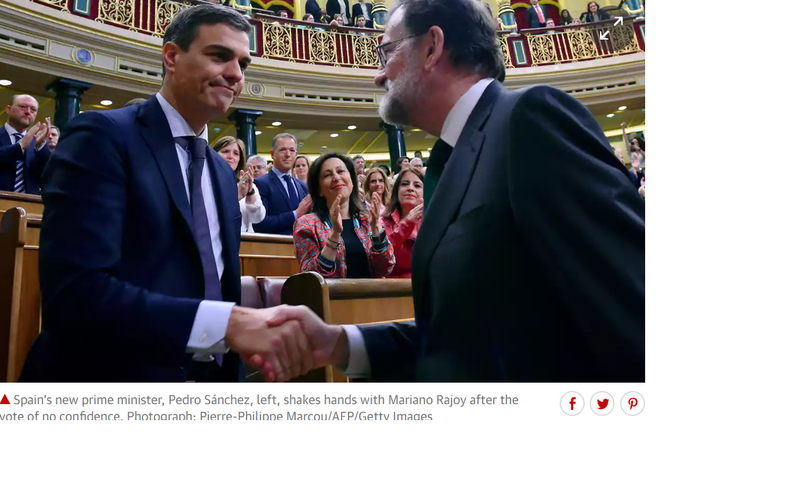 If they are as good as their word, Rajoy will be out — and become the first leader of the country to be ousted in such a way — and Sánchez would immediately replace him as prime minister. Sánchez was promised the backing of the far-left Podemos, two Catalan pro-independence parties and the Basque Nationalist Party (PNV), although the latter tested Rajoy’s nerves by waiting until late Thursday to make their decision. 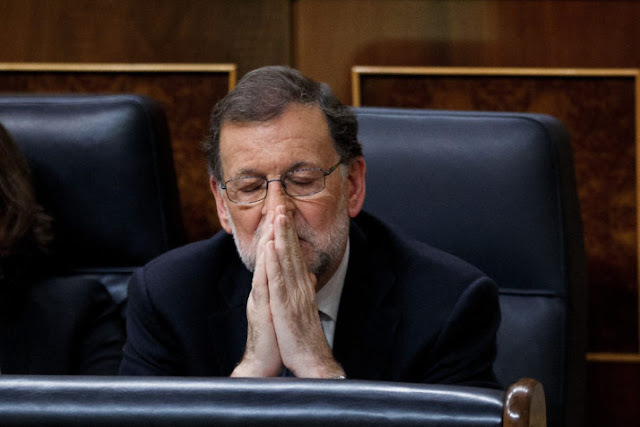 If the vote goes as planned, only Rajoy’s resignation could stop Sánchez from becoming PM, at least in the short term. The Socialist chief invited Rajoy to resign during a speech in parliament Thursday, promising to withdraw the no-confidence motion if he did. “Quit and this will be all over,” Sánchez told his rival.